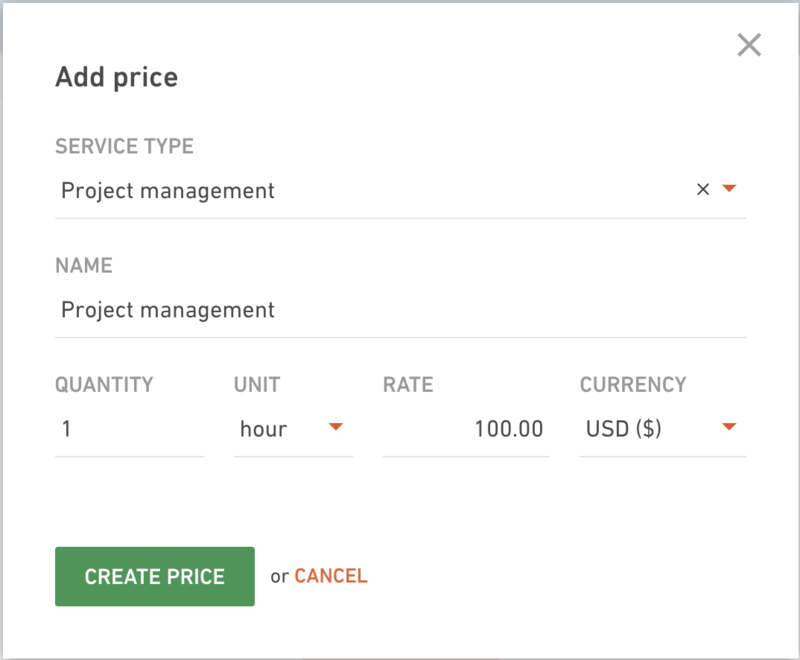 Set up your default service price list. You can also set up a different price list for each client if you work on different rates. Defining price lists helps you speed up the process of creating deals and budgets for a client because you don’t have to think every time how much you should charge clients or dig through a contract to find the exact numbers. If you created a price list, the numbers will already be in the dropdown menu for you to choose from when editing financials on a deal or budget. To set up a default price list, go to Contacts tab in the main navigation, switch to Companies and select your company from the list. 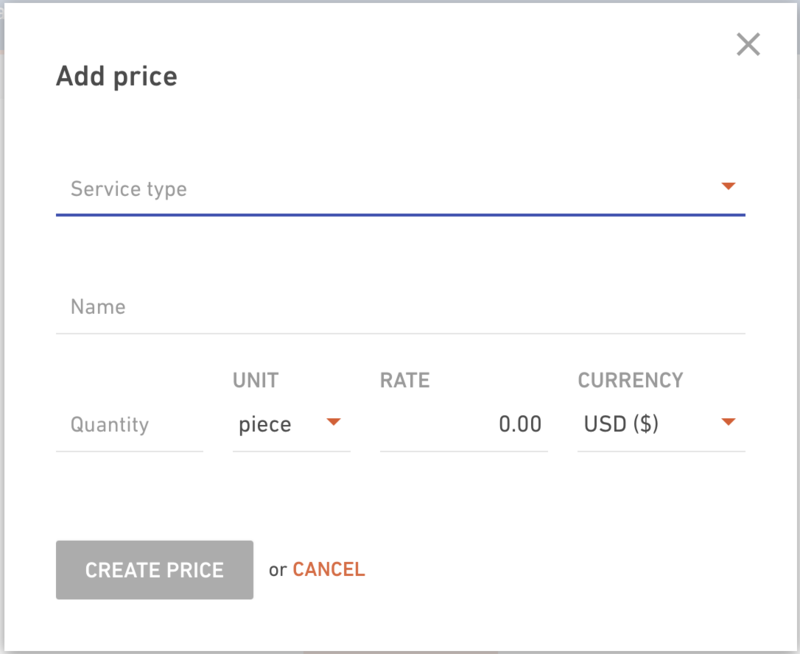 Switch to Default prices tab and click on the Create price button. Here you define a type of service you're offering and the price of that service. If you add a price per hour, this same price will be applied on fixed price and hourly priced budgets, for the same service. All the services you created price for will show up on the list. To edit or delete prices, just click in the row you want to make changes and an edit form will pop-out. So, the next time you go and create a new deal, your default prices will already be in the dropdown menu. You can do the same for each of your clients in Productive, thus creating a custom pricing for all of them.